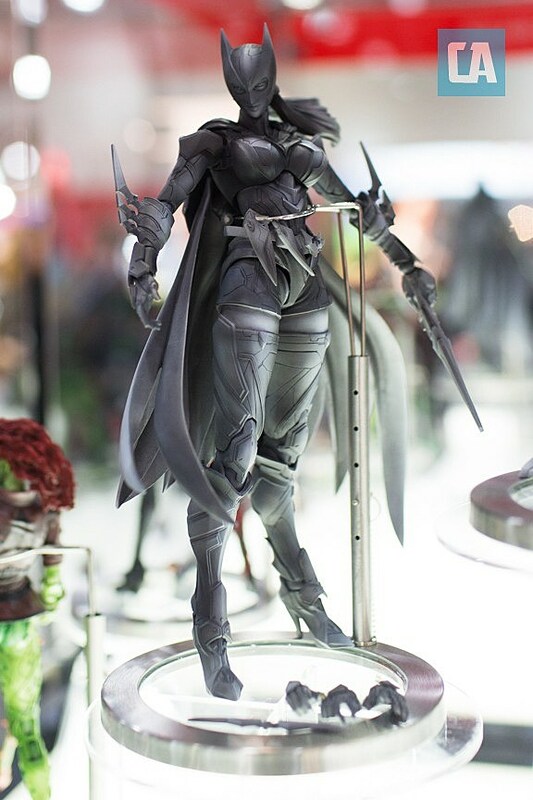 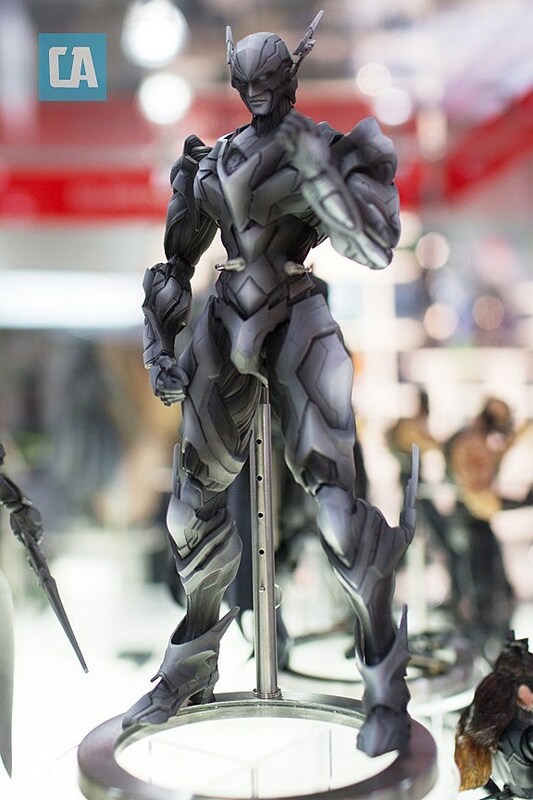 While Square Enix started out focusing mostly on DC Comics live action films in its 9(ish)" Play Arts Kai action figure line, they've begun branching out into more comics-centric designs of late. 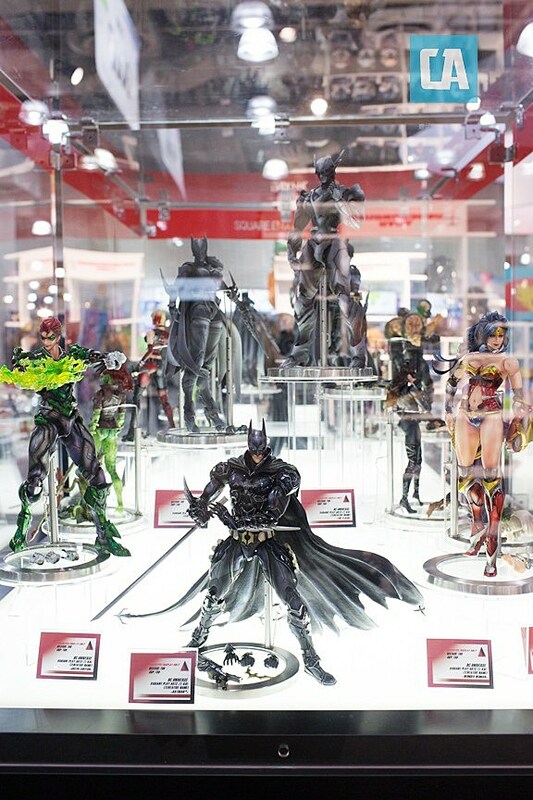 At Toy Fair 2013, Square Enix debuted five new DC Universe figures featuring original Batman, Green Lantern, Wonder Woman, Batgirl and Flash designs. 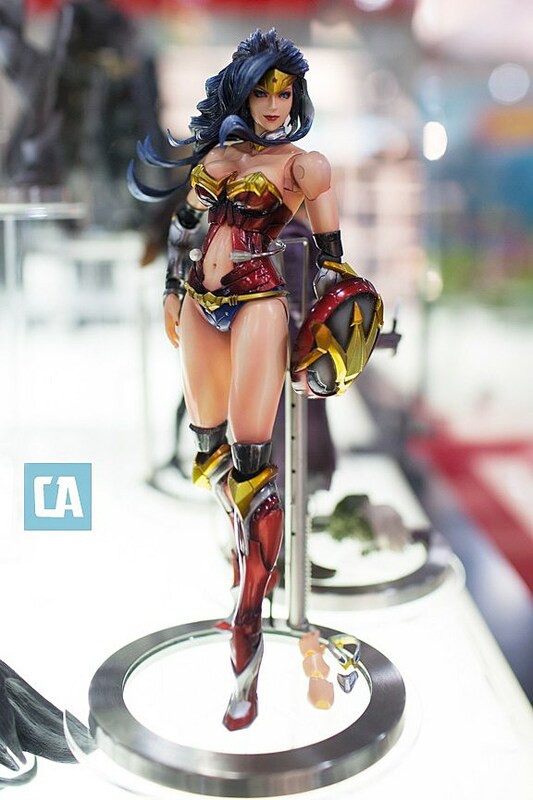 Batman, WW and GL were the most complete figures on hand, with Flash and Batgirl still hanging out as unpainted (but accessory-totin') prototypes. 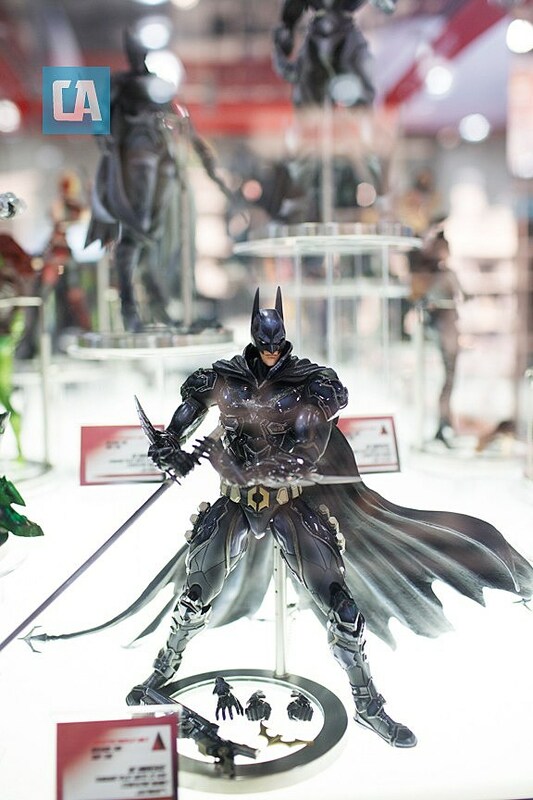 Square Enix's booth was also packed with its previously displayed The Dark Knight Rises and other Bats toys, plus a Man of Steel case that contained a poster promising future figures. 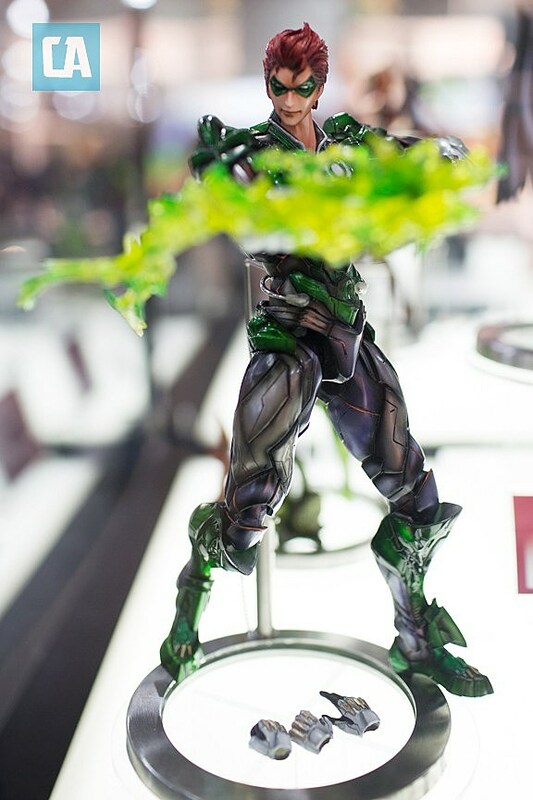 You can get a closer look at the Play Arts Kai DC Universe line after the cut.